Central Filling Station is Tennessee's first full-service food truck park! We are a family-friendly, dog-friendly neighborhood hangout featuring a daily rotation of the city’s best food trucks and craft beverages. Welcome to Knoxville’s most unique outdoor dining experience! Central Filling Station gift cards can be redeemed for any purchases AT THE BAR, but can not be redeemed at individual food trucks. A chef-driven gastropub style menu with big bold flavors and a changing selection of gourmet sandwiches, hotdogs, tacos, flatbreads and chef’s plates. Funkiest tacos in town! 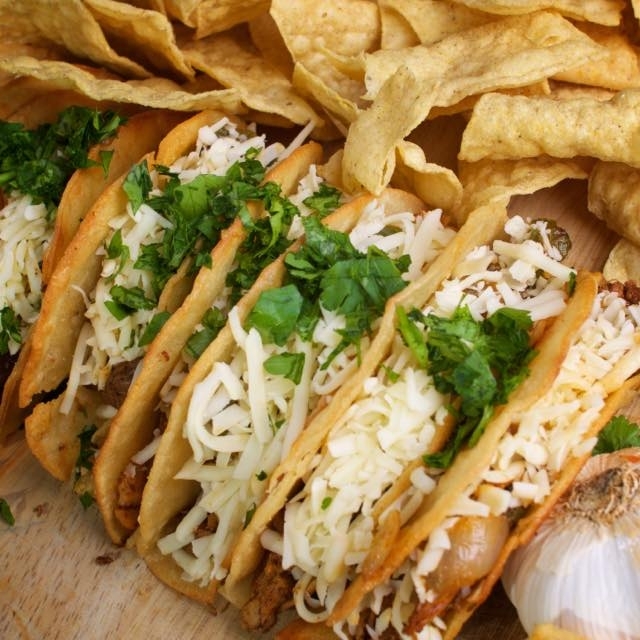 Captain Muchacho’s is run by UTK alumni and specializes in gourmet Americana tacos & sides. Bringing specialty coffee to East TN, we’re a family owned business who love people and coffee! We’d love to share our product with you, so come on out, grab a cup and hang with us! Knoxville's First Thai food truck! Fai Thai specializes in Thai street food inspired by streets of Bangkok. Vegan, vegetarian & GF options available! A Knoxville Favorite! Sliders and fries cooked to order - fries are hand cut daily. Try the Route 66 burger: an interpretation of an all American burger served with lettuce, tomato, onions, bacon and cheddar cheese. Features a variety of unique and delicious hot dogs, fresh cut fries, wings, and pulled pork sandwiches. Freshly prepared burgers, grilled sandwiches, and loaded mac & cheese meals. Catering to all of your hunger needs with simple, hearty, wholesome recipes and a passion for meatballs and other savory specials. Featuring a variety of savory kabobs, juicy burgers, and wonderful locally-sourced brats. From simple meat-and-potatoes to the Thai Can’t Believe You Skewered That!, we have your taste buds covered. Treetop Coffee Shop serves in two ways: Coffee and eats to the people that are around us, and comfort to the people that aren't. With every treat and cup of coffee you buy, you help bring comfort to the world's kids. Organic and fair-trade chocolate-covered frozen 'nanners with a variety of toppings. "It's good all the way around." Coffee for coffee lovers who want a freshly roasted, ethically sourced, specialty brew. The Crave kicks up classic BBQ and hamburgers in every bite, wherever it travels! A chef-driven food truck bringing the freshest ingredients straight to the table with natural and locally-sourced foods, currently specializing in ramen, pho and miso bowls. Diner-style food truck with an American menu featuring burgers, wraps, hot dogs, nachos & quesadillas with loaded fries on the side! A mobile specialty coffee cart serving hand-crafted pour-over coffee and espresso. Highline proudly brews up Parlor Coffee that is roasted in Brooklyn, NY. Gourmet, edible cookie dough! Egg-free! Gigantic homemade donuts, need we say more? An updated take on classic diner and comfort food with a focus on local and seasonal products. Vegan & vegetarian options available! Soft tacos. Hard-hitting flavor. Scratch-made salsa and taco sauces, too. Mexican-inspired food for Scruffy City's citizens. San Francisco Mission District inspired burritos for meat eaters, vegans, spice lovers, and those that appreciate a deliciously large meal. “Michigan-style tacos made with only the freshest ingredients.” CJ’s Steak Supreme won Central Filling Station’s 2018 Taco Throwdown! Vegetarian? Check out the Holy Potato! Knoxville's own mobile flower shop! This adorable, vintage pick-up pops up all over town for you to create-your-own bouquet from fresh, locally grown flowers. Gypsy Kitchen food truck and catering is a family owned business dedicated to serving classically simple and deliciously fresh food. Kazoku (meaning family) is a hibachi truck serving up spring rolls, dumplings, fried rice, and a variety of hibachi meats & veggies. An Italian-American fusion menu where delicious, inventive, and fun twists are spun on traditional Italian favorites. Serving scratch made soups and gourmet sandwiches daily. 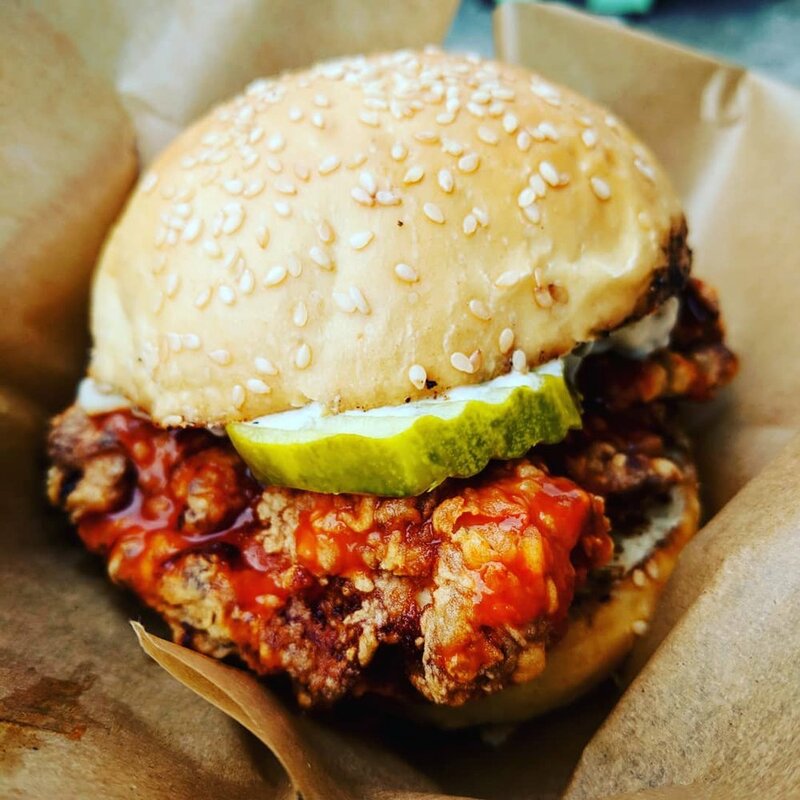 A chef-driven food truck sourcing local ingredients to create a changing menu that is delicious, entirely made from scratch and priced conservatively. Vegetarian & GF options available! Now hiring! Click here for more info. No. We work really hard to provide a wide variety of food and drink options every day, so we ask that our customers eat and drink from our on-site vendors only. All outside food and drink must be thrown away upon entering the park. Yes! Our on-site bar serves a carefully curated selection of craft beers, ciders, and non-alcoholic beverages. Our rotating menu is served in packaged cans which we recycle on site to be more sustainable! Keep an eye on our Facebook & Instagram accounts for drink specials and guest features from your favorite Knoxville breweries. How can I find out which Food Trucks will be serving and when? We partner with 30+ different food trucks, and typically host 3-5 trucks at a time. Wednesday & Thursday, we are open for dinner only. Friday & Saturday, we host a different group of trucks at lunch & dinner. Sunday, the trucks stay all day. Please refer to the calendar above for a full schedule of our food trucks and special events. We also do our best to update Facebook & Instagram with our food truck lineup & any last-minute changes. Is food available all day? On Friday & Saturday, the food trucks rotate between 3PM - 4PM, so there may not always be food available during that one hour. If any trucks sell out of food during lunch or dinner, we do our best to post updates on Facebook & Instagram. Our bar is always open every minute that the park is open! Yes! Every day of the week from 3-6pm all alcoholic beverages are $1 off. Can I take food to go? Absolutely. You are welcome to take food truck food and non-alcoholic drinks to go. Do any of the food trucks have vegan, vegetarian or gluten free menu items? Yes! Like restaurants, most of our trucks are able to accommodate a variety of dietary preferences & restrictions. In the “our trucks” section of our website, we have identified trucks that typically have these items on their menus. However, since food truck menus can change daily, we recommend reaching out to them individually regarding food allergies, or for more specific information about their menus. Absolutely! We are 100% family friendly and have a fun play area for the little ones. Yes, we love them! Please just keep them on leash at all times. Nope. Seating is on a first come first serve basis, but we have tons of seating options so you should always be able to find a spot quicky! Yes. Our bar and all of our food trucks accept both cash and credit cards. How do I get to Central Filling Station? Our favorite ways to get here are walking, biking, public transit, and ride-sharing. KAT bus lines #13 (Beaumont), #20 (Central Street), and #24 (Inskip/Fountain City) all stop right in front of the park! Bus lines #21 (Lincoln Park) and #22 (Broadway/Fountain City) have stops very close. Click here for more info. I have to drive, where can I park? Personal vehicles are not allowed inside of the food truck park. There is plenty of street parking just outside our gates, along Bearden, Irwin, Bernard, and Hazel streets. We also have a small number of designated spaces at 126 Bearden Place, adjacent to our north gate, but they fill up fast. Please do not park in any of our neighbors' designated parking spaces. If you choose to park in another business' lot after hours, you do so at your own risk! We usually stay open! We have a large covered seating area for exactly that purpose. If the weather is really bad, especially during the winter months, check our Facebook or Instagram pages to make sure that we have not decided to close for the safety of our staff and food truck partners. I'm a food truck, how do I get involved? Our Food Truck Application is located here. We’d love to hear from you! Is your space available for private events? Absolutely! Please click here to give us some more details about your event and we’ll get in touch. Want to get in touch with CFS?